These presentation slides 45143 are complete compatible with Google Slides. Simple download PPTX and open the template in Google Slides. 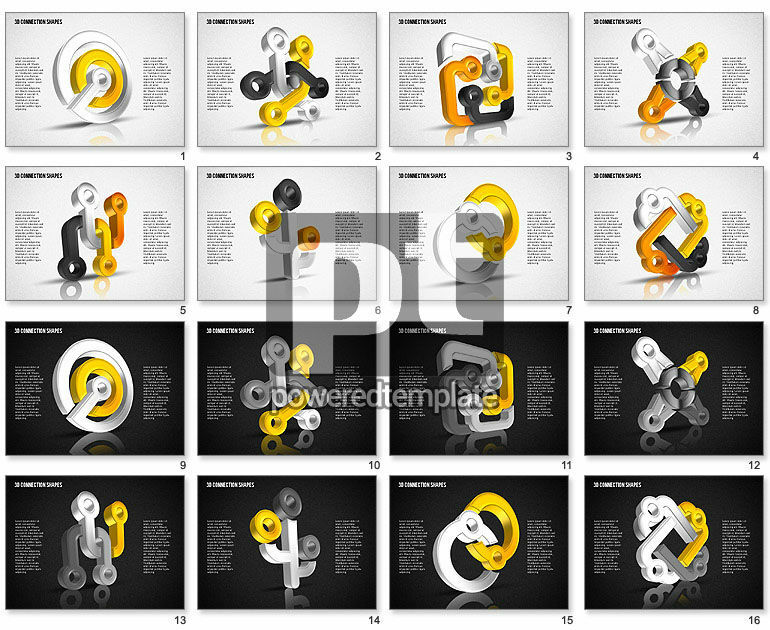 Feel free to pick this gorgeous 3D template with mysterious complex figures in a nice stylish contrast palette, white-black and yellow, to intrigue your audience during the speech. This fantastic sample is multifunctional, so you will gain a success at any sphere of business, media or network where you`ll use this magnificent set. Also there are two variants of the background, bright and contrast.